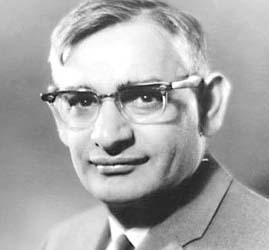 Nobel prize-winning Indian-born biochemist Har Gobind Khorana has passed away on November 9, 2011, in Concord, Massachusetts. He was 89. Khorana was born in 1922 in Raipur village of Punjab. 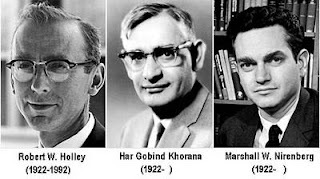 A Panjab University alumnus, Khorana shared the Nobel prize in medicine in 1968 with Marshall W. Nirenberg and Robert W. Holley for research that helped to show how nucleotides in nucleic acids, which carry the genetic code of the cell, control the cell's synthesis of proteins. Khorana and Nirenberg were also awarded the Louisa Gross Horwitz Prize from Columbia University in the same year. Khorana did his BSc from Punjab University, in 1943, and MSc from the same university in 1945. He was awarded the Government of India Fellowship that enabled him to go to England where he studied for his PhD at the University of Liverpool. Khorana spent eight years in Vancouver, Canada, carrying out work on proteins and nucleic acids before moving in 1960 to the University of Wisconsin at Madison in the US, where he became co-director of the Institute for Enzyme Research. The work he and his colleagues did at the institute on the RNA codes for the synthesis of proteins led to the Nobel prize in 1968. Khorana became a naturalised citizen of the US in 1966, and subsequently received the National Medal of Science. In 1970, he became the Alfred Sloan Professor of Biology and Chemistry at the Massachusetts Institute of Technology, where he worked until his retirement in 2007.